Santorini and Naxos are connected with daily and frequent ferry services during the summer season. The distance between the two islands is approximately 43 nautical miles and the journey has an average duration of 3 hours and 30 minutes, which mainly depends on the ferry operator. Ticket prices for passengers range from € 20 to € 40. How long is the ferry ride from Santorini to Naxos? The duration of the trip from Santorini to Naxos ranges from 1h25 to almost 5 hours, depending on the ferry boat. Ferry tickets from Santorini to Naxos cost from 20 to 40 euros, depending on the ferry operator. Concerning the vehicles, a car ticket costs around 50 euros and the motorbike ticket is equal to 15 euros. The distance between Santorini and Naxos is about 80 km or 43 nautical miles. The port of Santorini can become very crowded during August, and multiple ferries can arrive/depart at the same time. 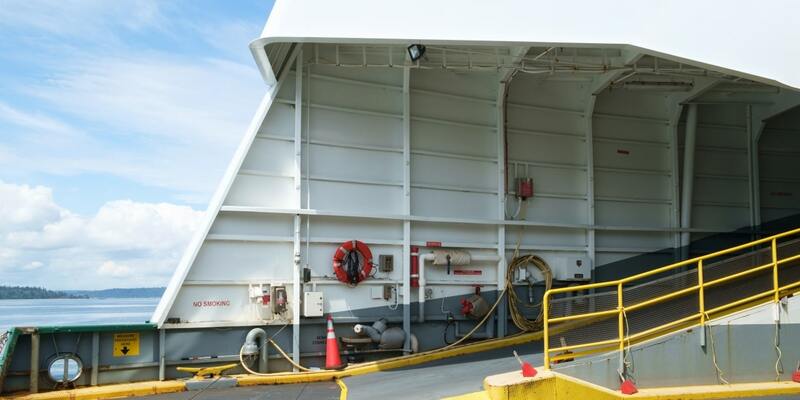 Make sure to be there on time, and ask the port authorities personnel for information regarding your ferry. The port of Naxos is usually very busy during the summer season and especially August. Chora of Naxos is right at the port of the island and it is easy to go to every village from there, thanks to the bus system (KTEL). Be sure to check the timetables, because not all of the itineraries are frequent. Tickets to Naxos from Santorini always sell out fast during high-season. If you are planning to take a ferry from Santorini to Heraklion on late July or August, make sure to book your tickets well in advance. There are many other beautiful islands around Santorini that you can visi as well, such as Paros, Milos, Amorgos, Koufonisia and Ios. Island hopping around Santorini is definitely an amazing experience! You can check our Ferry Map for more ideas!